Gala tickets are on sale NOW! Discounted tickets are only available for a limited time. Gala tickets are on sale NOW! Limited time promotion, high roller tickets will be discounted for only $100 a ticket ($15 off), which includes $300 casino money, two bar drink tickets, dinner, dancing, auction and lots more. Take advantage of our presale pricing. Tickets are limited, so don’t wait. Tickets will be available for purchase at www.501auctions.com/soecgala/tickets. 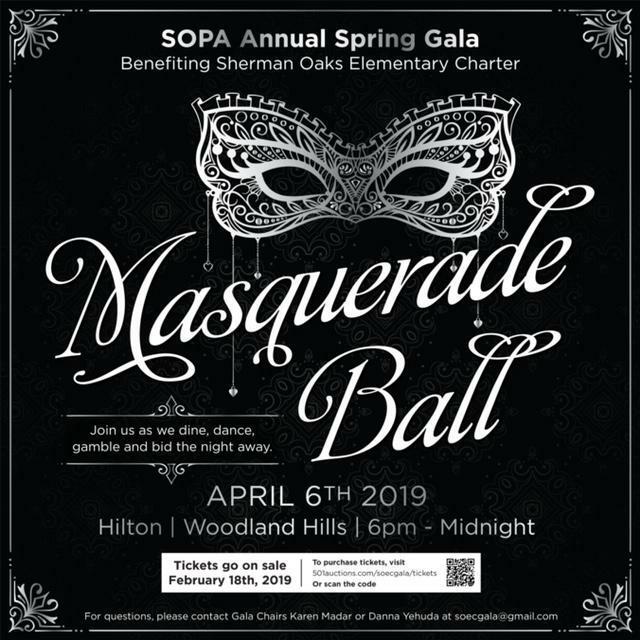 This year's Annual Spring Gala Masquerade Ball will take place at the Hilton in Woodland Hills on April 6th at 6:00 PM.